2019 Course Now Open for Registration! We are overjoyed to invite you to join us for our Birthkeepers Apprenticeship, a program designed to support mamas, new or expecting parents, babies, birthkeepers and workers and all those who support the birth process to explore together. Participants will receive their Doula Certification via the Birth Well during the first portion of the course, and then will go on to receive in depth classes as well as develop skills to support mamas, babies, birth and beyond! ~ For individuals with an interested in gaining knowledge and support while going through or supporting others through the birth process. ~ Focused on empowering participants with basic knowledge and information birth, various methods of support, fertility, holistic wellness and support for new mamas, babies and families and more. 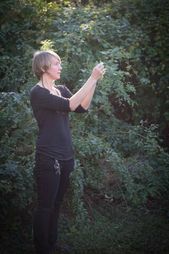 ~ Taught by skilled instructors in areas of birth, holistic health, herbs, nutrition, with years of professional experience. ~ Is designed to give you practical skills as well as basic theoretical background to implement knowledge and strategies gained in this course for self or as a professional service. Hale Pe’a to Hānau - Post Partum Care Observing the connection between the Moon Cycle and Childbirth and its physical, mental, and emotional implications on the Postpartum Period. Gathering indigenous wisdom to support, nourish, and celebrate motherhood. The Birth Well Doula Training by Nilajah Brown is designed to arm you with the tools necessary to provide physical, emotional and informational support to birthing families; whether they are birthing in a hospital, birth center or home. We will co-create a space to explore ways to reclaim and preserve traditional birthing practices within this modern birth culture. - The attendee will receive a certificate of attendance for the workshop, which is one step toward becoming a certified doula with the Birth Well. They would be certified by The Birth Well. ​The other steps include taking a childbirth class, breastfeeding, book reviews and attending 3 births as a doula in training. Reclaiming pregnancy/childbirth as a sacred rite of passage is her life's work and passion. “It is my belief that all women instinctively know how to birth their baby. When women trust their own powerful knowing on the inside, and not the well intended advice from the outside, they will birth as nature intended them to. For a woman to open up and birth naturally, she must feel safe, in her surroundings, whether that is in a big hospital, small birthing unit or at home. Only a mother knows with whom and where she feels safe. I believe that every birth a woman has is perfect for her and her partner’s evolution. The growth that comes from challenging births is equal to the joy that manifests through these changes." 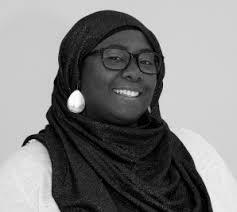 Malika trained to be a doula in 2008 by Debra Pascali-Bonoro, author of Orgasmic Birth. After training, she spent several years working with the Philadelphia Alliance for Labor Support (PALS), providing childbirth education and support to families with limited financial resources. 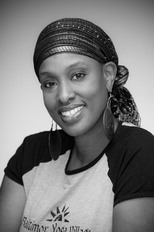 Malika moved to the DC metro Area in 2011 set-up shop as The DC Doula. With the help of an amazing doula and her husband, Malika peacefully navigated 50 hours of active labor that resulted in the birth of a fantastic little boy. In her spare time, Malika enjoys practicing yoga, studying herbalism, and learning about natural healing. In her other career, Malika obtained Masters degrees in Social Work and Education from Columbia University and Baruch College in New York City. 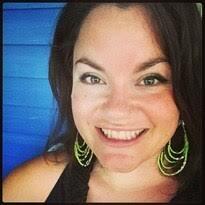 As a mother of 6 children (3 homebirths), Cori believes that birth can be a source of healing & empowerment for women. As a Hawaiian Native, she has a deep respect for the placenta and was taught that this life giving organ and the umbilical cord or “piko” is what binds a child to the “ʻĀina” or land. Cori is a Birthkeeper trained at Centro Ashe & is a survivor of Birth Trauma, Hyperemesis Gravidarum and Post-partum Depression. It is her mission to use indigenous wisdom to support, nourish, empower, and celebrate motherhood. ​A Deposit of $200 is due to hold your spot, and your final payment is due by June 1, 2019. We have one worktrade available for someone willing to come and deep clean our classroom and set up our classrooms before and after class each month in exchange for reduced tuition for our program. This includes setting up our tea and water as well as course materials, doing stray dishes, sweeping floors, surfaces, organizing and other tasks as needed. Highly motivated, and organized individuals for this position. This person comes 1 hour before class and stays 2 hours after each class for a total of 6 hours of service each month. By signing up for this worktrade you agree to for pay $650 for the course plus work a total of 30 hours as described above (you are trading at $15 an hour). If you sign up for this worktrade you agree to come on these days and times, if you miss a weekend for any reason you will need to pay $15 per hours for the missed hours within one week of the missed worktrade day and could loose your worktrade position.